Matthew - The Hebrew Gospel is the third volume of Carroll's work in proces.. This is not just another commentary. The Gospel of John is unique among .. Availability - Mid April 2019 Mark the Messiah's Gospel is just one of the..
Luke - The Lord's Gospel is a deeper look into the life and times of Jesus,.. 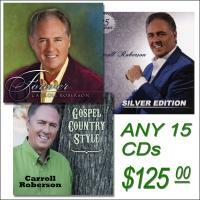 This item is sold and shipped through the publisher, Westbow Press.Please c..
Christmas In Those Days Christmas in Those Days is a brief but unique stud..
How To Enjoy Jesus Carroll's book, "How to Enjoy Jesus", is destined to be.. In The Fullness Of Time "In the Fullness of Time", is a summary of how the..
Jesus And The 5 Senses> God created man in His image- with the five sen.. The Christ An in-depth study on the life of Christ. 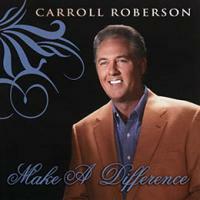 Includes a 17 song CD ..
Jesus Isreal Through song and Word, Carroll and Donna Roberson take you on..
Fishers of Men The world demands professional people with high qualificati..
Galations While the book of Hebrews was written to Jews who had believed i..
Hebrews Author, Bible teacher, evangelist, Carroll Roberson has been resea..